Every wardrobe needs an LBD, and I think the plainer the better to maximise wear, as a fuss free black dress is easier to dress down. This dress arrived last night and I am so pleased with it, I thought I would share it on the blog. 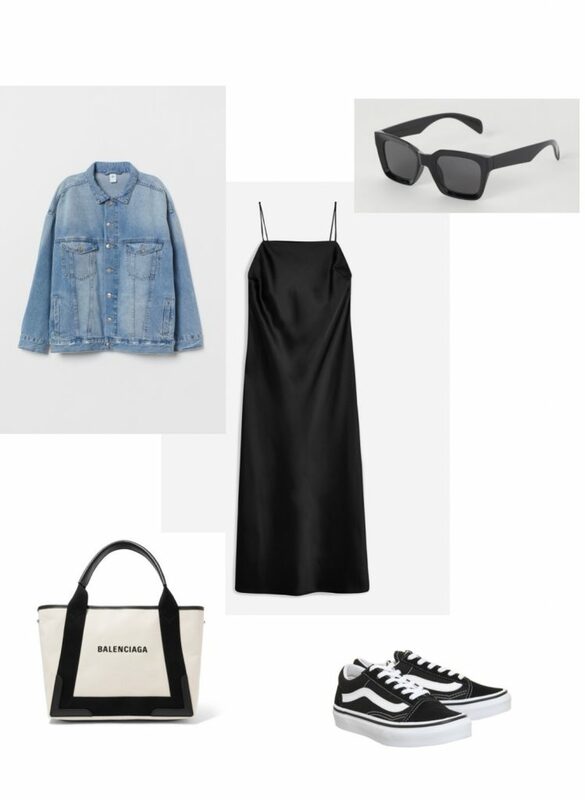 It’s the sort of dress that you’ll end up wearing loads – perfect for holiday (a simple black dress is a holiday wardrobe staple for me) and you could easily dress it up for a smarter occasion with a heel and a blazer. 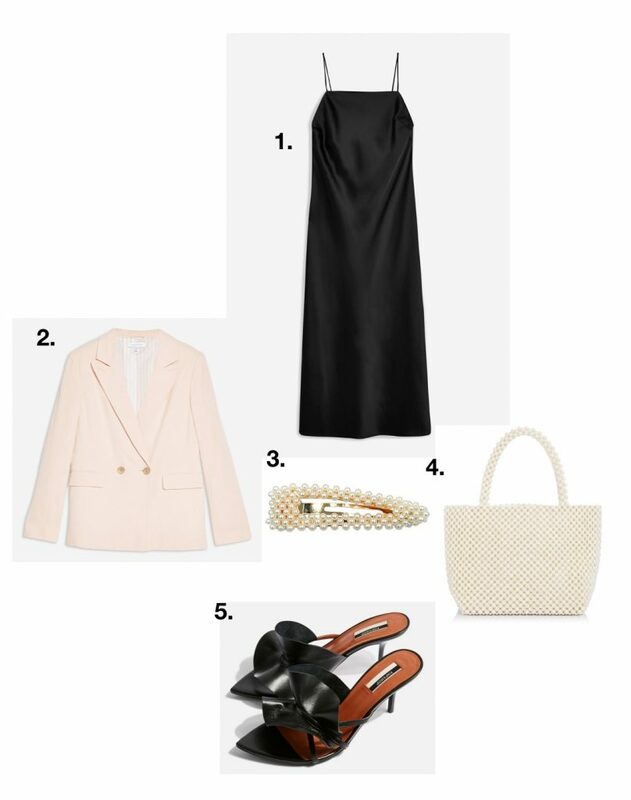 I really love this pale pink blazer from Topshop and these ruffle heels which have such a designer look to them. If I hadn’t recently purchased my Mango heels with their pointed toe, I would be snapping these up. 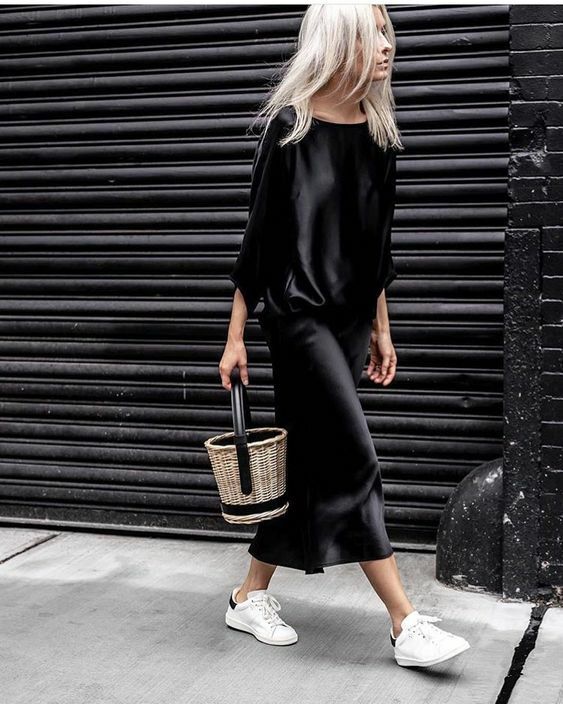 Pop a knit over the top and you have this season’s must have slip skirt and wear a simple tee underneath to dress it down. But you can’t wear a bra with it! What would you suggest? If you need more support and a large cup size I’d suggest looking at what Bravissimo has to offer. On the picture there is dress with long sleeves. Where is this dress from or is it a black top over the slip dress?